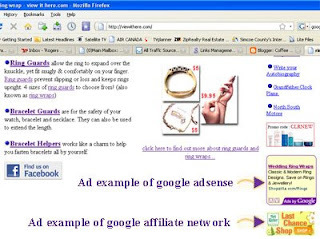 Then I found out about Google Affilate Network. You have to apply, and have your own website and agree to certain terms (such as not bidding on companies keywords) but once you are approved you have a large list of affiliates to join. They have a great selection of banners (see example above) for each advertiser. They also have a pretty nice reporting section. It shows the number of impressions the ad displayed, the number of times the ad was clicked...as well as, of course, the sales you make. They pay out by check (or transfers to US bank accounts).